BRYAN EATON/Staff photo. 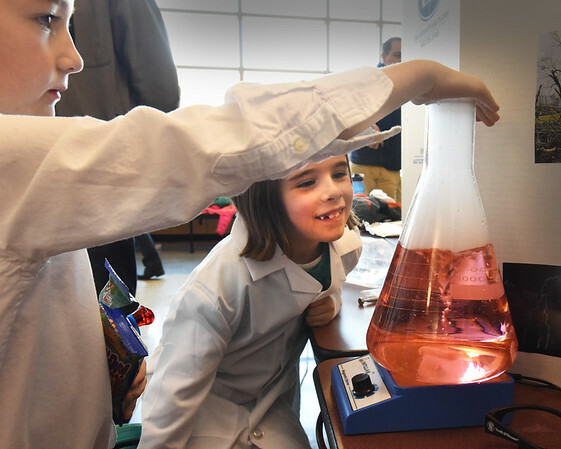 Isaac Boehl, 6, holds a hand over a beaker filled with colored water, dry ice and a magnet which causes the liquid to replicate the spinning of a tornado showing Claire Richards, 7, what his science experiment is about. They were at the STEM Fair at Amesbury High School sponsored the the PTO on Saturday.